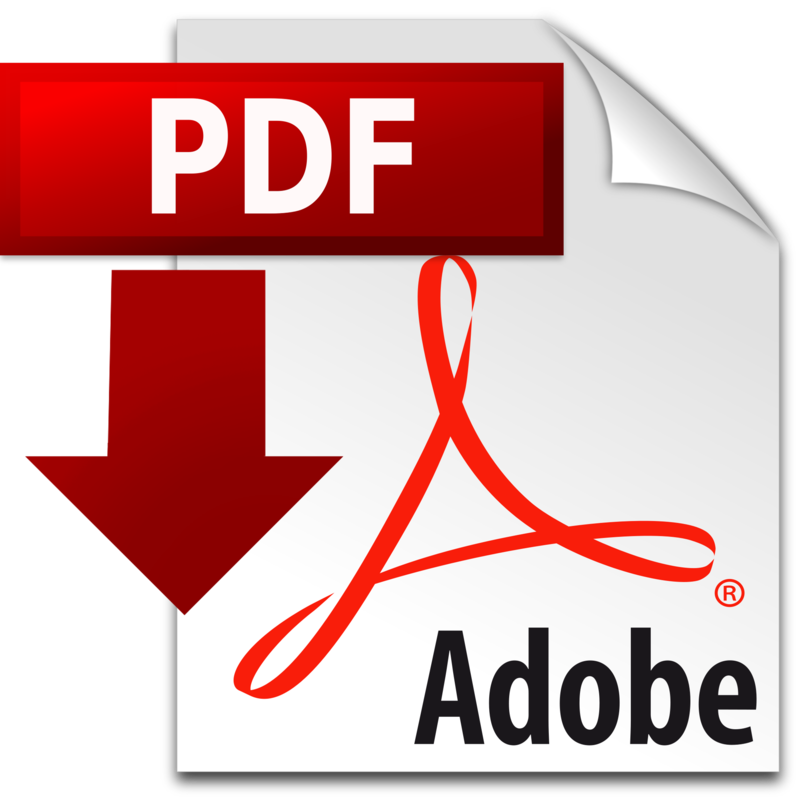 VACANCY FOR THE POST OF PRINCIPAL. An Inter-School Group Discussion Competition was organised at Sardar Patel Public School under the aegis of Shri Radhakrishnan Sahodaya Complex.18 reputed Public Schools from in and around Bokaro participated in this competition. 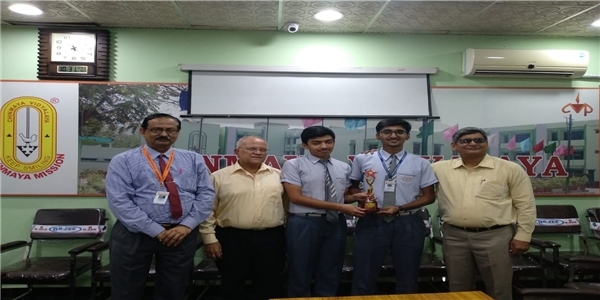 Chinmaya Vidyalaya, Bokaro bagged the winner s trophy beating DPS, Bokaro and MGM School at second position and Sardar Patel Public School and ARS Public School at third position. Our Vidyalaya was represented by Samyak Pandey and Ayush Arya. Reciting sunderkand path offers mental peace and gives strength and determination to achieve one s task and to begin the new year on an auspicious note. Sunderkand path along with Puja of Lord Hanuman, was organised on 1st January 2019, morning in Chinmaya vidyalaya Bokaro . 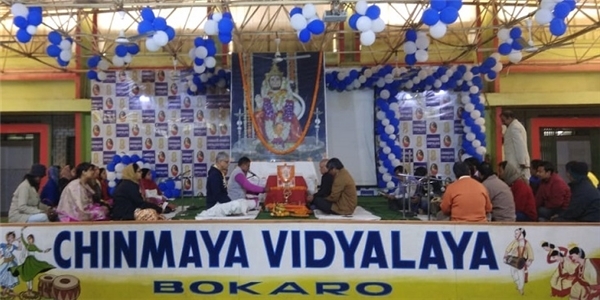 It was held as per the tradition of Indian culture, i.e to make a new beginning by offering prayers to the almighty and seek his blessings for a prosperous year for the Vidyalaya. “In contemporary time we have limited ourselves so much to the use of mobile phones that we lack practical knowledge to deal with any sort of problem that might come in our way anytime” as put by Chief Guest, Mr. Kartik S, (Superintendent of Police, Bokaro Steel City) at the Science Exhibition held at Chinmaya Vidyalaya, Bokaro. Dr. Sathyapriya was also present to grace the occasion as Guest of Honour. The dignitories present to grace the occasion were Mr. Mahesh Tripathi, Secretary; R.N Mallik, Treasurer; Dr. Ashok Singh, Principal; Mr. A. K. Jha, Vice Principal; In-charges, Academic Supervisors, Chinmaya Vidyalaya, Bokaro. Students of Classes Nursery to 11 were given specific themes on which they had to make their models, like Go Green, Monuments of India, Science Ahead and several others. The enthusiastic participation and creative energy shown by the students and the tremendous hard work of the team members was worth appreciating which in turn made the event a great success. Parting is a part of life and it paves the way for new beginnings. The farewell for Class XII was held at Tapovan Hall, Chinmaya Vidyalaya on 25th January, 2019. The occasion was graced by the presence of Vidyalayas Acharaya, Swamini SamyuktanandaJi as the Chief Guest, Mr. Mahesh Tripathi, Secretary; Dr. Ashok Singh, Principal, Chinmaya Vidyalaya Bokaro. The occasion began with the inspirational words of Vidyalayas Acharaya- “Hard work is the key to success and right ethics builds up an immaculate character.” Mr. Mahesh Tripathi guided the student by saying that “Patience, Virtue, Discipline, Knowledge, and both physical and mental fitness leads one to success.” Dr. Ashok Singh said that “one should bring out the best in oneself.” The programme began with the traditional Diya lightening ceremony. It was followed by spectacular dance performances and prize distribution ceremony. The students were awarded for their achievement in Academics, Sports, Dance, Music and Extra curriculars. Raman Bhushan and Niharika Singh bagged the most awaited Style Icon tag of the year. The day ended with the Vidyalaya song. The day consisted countless moments that will be cherished by the students lifelong. India is a country of diversity bonded by love and affection. On the auspicious occasion of Republic Day, Chinmaya Family gathered together to celebrate its 70th Republic Day in the school premises on 26th January 2019. Swamini SamyuktanandaJi, Acharaya Chinmaya Mission, Bokaro was the Chief Guest of the day. The other luminaries present to grace the occasion were Mr. Mahesh Tripathi, Secretary; Dr. Ashok Singh, Principal Chinmaya Vidyalaya Bokaro. The programme started with the Flag Hoisting Ceremony followed by the National Anthem. Swamini Amma through her inspiring words encouraged the students to become a better citizen of the nation and serve Mother India with unconditional love and nationalistic spirit. It was followed by magnificent dance and singing performances evoking patriotic fervour in each one of us. The skit performed by the students of Class 6 was commendable giving a message of Unity in Diversity and how India retrieved its lost glory. Celebration of this significant day evokes a feeling of patriotism in every Indian and it also reminds us of our obligations towards our nation. 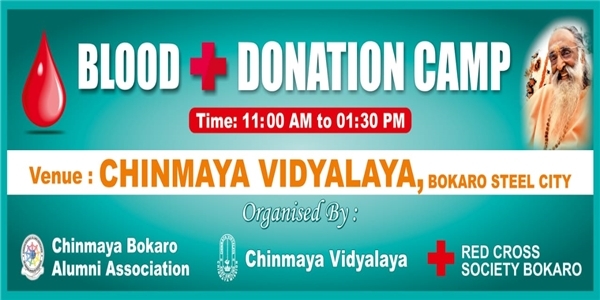 ‘Donate Blood, Save Life’, Keeping this in view, Chinmaya Bokaro Alumni Association joins hands with Chinmaya Vidyalaya Bokaro to organize a Blood Donation Camp on 17th February 2019 (Sunday) from 11 a.m. onwards in the school premises with the Co-operation of Red Cross Society Bokaro. Parents are requested to cooperate and come forward to this noble cause and donate blood on 17th February 2019.